Below are frequently asked questions and answers regarding Peerless Rattan products. How do I stain the cane? Cane should be stained after it is installed, not before. Cane has a natural finish on it so the stain doesn't soak in like it would in a wood product...however you can achieve a stained look by using a stain and letting it dry and maybe add additional coats to it. You can also use a gel stain and some people use a spray stain. If you use the spray - be sure to tape off your seat so as not to stain the wood around it. Unless the chair is being stained on the back - we would not recommend staining on the underneath side...this is where it is important for moisture to soak in. We recommend that you test your staining method on scraps to make sure you like the way it looks. For in-depth, helpful information about coloring cane, CLICK HERE. Can I put a finish on a rush seat? We prefer to leave the rush in the natural state...however if you would like to seal it...you could use polyurethane or shellac. Also practice on scraps or on the underneath side to see if you like the way it looks. Fibre rush colors may vary from order to order due to dye lot coloring, so it is important to order enough rush to complete your entire project at one time. Your next order may come from a different dye lot, and be slightly different in appearance. A small seat measuring 14" x 14" takes about 2 lbs. Larger seats will require more than 2 lbs. 10 pound and 40 pound reels may contain splices in them from the manufacturer, so please be watching for that and plan accordingly. It is never known by us if a reel has splices in it or not. Pre-twisted natural real rush will vary slightly in size, from order to order, due to twist variations. It will also vary in size in each coil, it is not a consistent size like fibre rush. Pre-twisted natural real rush coils may contain splices in them from the manufacturer, so please be watching for that and plan accordingly. It is never known by us if a coil has splices in it or not. Pre-twisted natural real rush colors may vary from order to order because it is a natural plant, so it is important to order enough rush to complete your entire project at one time. All rush texture may vary from order to order. How long do I soak the cane? For strand cane – soak the strands for 20 to 30 minutes in room temperature water. Soaking it for hours will discolor the cane and give it a gray appearance. How long do I soak the rush? For 5/32 fibre rush and smaller, just quickly dip it in water and shake off the excess. Soaking size 5/32 too long will cause it to break easily and the texture deteriorates. You can soak size 6/32 and larger for a couple of minutes. For pre-twisted natural real rush, we prefer to soak it for a good 20 minutes, that makes it much more pliable and easier to work with. How do I know if my chair is strand cane or pressed cane? Strand cane chairs have holes drilled in the wood frame of the seat. 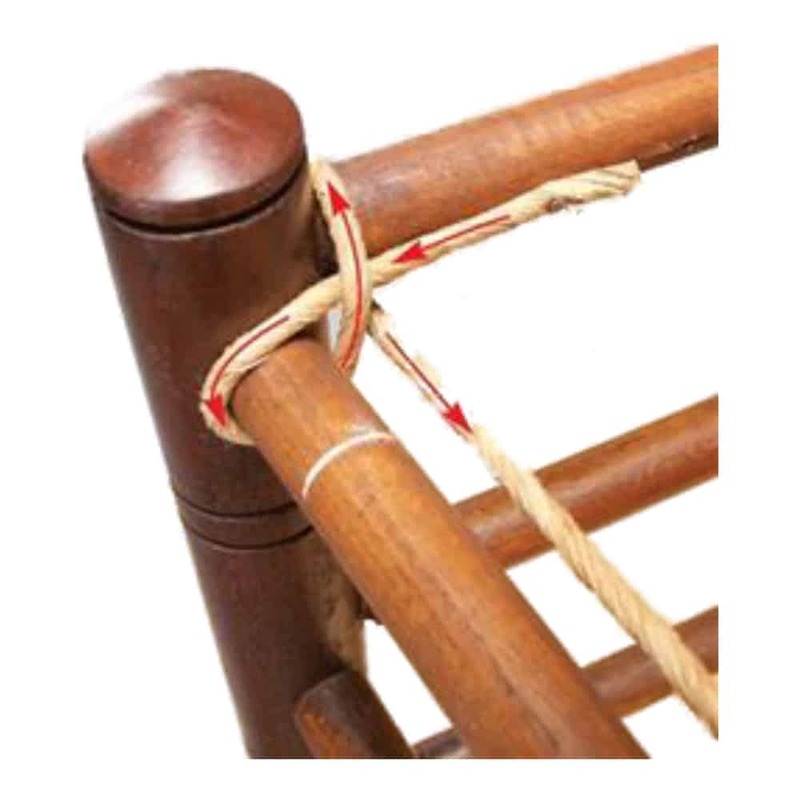 Pressed cane chairs have a routered groove instead of holes, and spline is used to hold the pressed cane in place. The side rails are not on same plane as front and back rails, the side rails are a full rail diameter below front and back rail. How do I put in a rush/reed/binding cane seat? It is very common for the rails on chairs to be on different planes. They are offset like that by the manufacturer to give more strength to the legs. You install the rush/reed/binding cane the same way as you do any other chair. It may look odd at first, but once you get a few strands woven in, it usually all comes together. You may have to experiment a little until you are comfortable with how it looks. Yes, we ship to every country in the world… almost. The website is all set up to handle shipping options to your country! Please make your order and then start the checkout process. You will be able to see the shipping options and costs BEFORE you have to commit to completing the order or paying. If your country charges you an import fee, duty or tax, you are responsible to pay that to your country. What’s the difference between fibre rush and pretwisted natural real rush? Fibre rush is man-made from kraft paper, basically the same paper used in grocery bags. Pretwisted natural real rush is a plant that is in very narrow strips that are twisted together to form the rush. What’s the difference between Denmark Danish cord and American Danish cord? Denmark Danish cord is the authentic, original 3 ply cord found in Danish chairs. It is imported from Denmark. American weave is a cheaper American made substitute, it is not identical as it is twisted looser and does not quite look the same. American weave is also 3 ply. If I order a pressed cane kit, can I get a different size spline? Yes, we will substitute out the size 8 spline that comes in the kit for the size you need. Please leave us a note in the note section when you complete checkout telling us which size spline you need. My spline is brittle and breaking, what can I do? Spline sometimes dries out, which causes it to become brittle. Soak it in water for about an hour and it will absorb enough water to make it fully pliable and usable again. Review the video below.